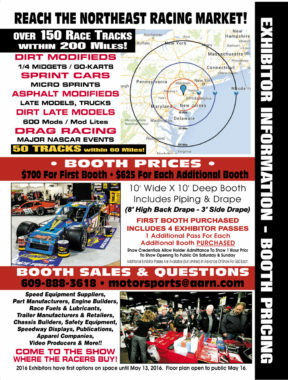 The Pioneer Pole Buildings Motorsports 2017 fueled by Sunoco Race Fuels and Distributed by Insinger Performance Race Car and Trade Show will take place on Friday, January 20 thru Sunday, January, 22nd. The very classy Crowne Plaza Valley Forge will serve as the host hotel and will again offer a discounted rate of $94 per night (plus taxes). The hotel is located just 7.5 miles from the Expo Center and is within walking distance of the popular King of Prussia Mall, the nation’s second largest retail complex with over 350 stores and close to 100 restaurants. 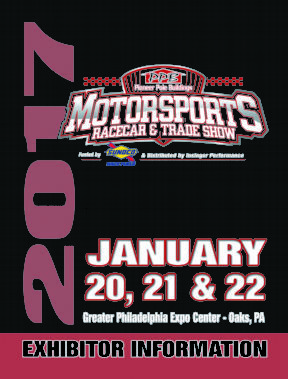 Got a Question about Motorsports 2017?